Hilary Stauffer is a Visiting Fellow at LSE’s Centre for the Study of Human Rights. She is an international lawyer with extensive experience working on projects in the U.S., Europe, Africa, and Asia. Her specialties include International Law, Rule of Law, Human Rights, Humanitarian Affairs and Diplomacy. 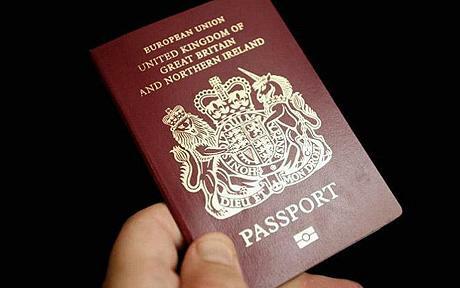 On 28 July 2014, one of the more controversial provisions of the United Kingdom’s new Immigration Act came into force: the power to deprive naturalised British citizens of their passport, even if doing so would make them technically stateless. Civil libertarians, human rights activists and even the House of Lords were all understandably alarmed at this prospect, which nonetheless managed to make its way through a belaboured legislative process to eventually become law. The move comes amidst the Coalition Government’s larger efforts to strengthen its counter-terrorism policies in response to the perceived threat from radical Islam, but the impetus for this particular amendment to the nation’s immigration laws appears to stem from a legal battle the Government lost last year. In the Al-Jedda case, the respondent—a native-born Iraqi who became a naturalised British citizen—was captured by US forces in Iraq in 2004 on suspicion of terrorist activities. He was eventually transferred to the custody of British forces in Iraq and held for three years, although never charged. Shortly before his release from British custody in 2007, his British citizenship was revoked. Mr Al-Jedda eventually moved to Turkey, where he remains. His case became cause for controversy when he appealed against the deprivation order, arguing that the revocation of his British passport had rendered him stateless, as he had lost his Iraqi nationality upon become a naturalised citizen of the United Kingdom. The Home Office responded that because he would have subsequently been able to ‘regain’ Iraqi citizenship (and eventually did), he was not ‘technically’ stateless, and therefore the point was moot. The resulting series of appeals was litigated all the way to the Supreme Court, who decided in Mr Al-Jedda’s favour in October 2013, ruling that the British Nationality Act of 1981 was fairly unambiguous on this issue when it stated that ‘[t]he Secretary of State may not make an order [to deprive a person of citizenship status] if he is satisfied that the order would make a person stateless’. Whatever other contributing factors may exist (including, for example, the possibility of whether the person in question could ‘quickly and easily re-acquire another nationality’) were of no consequence. The question, the Court said, was ‘simply whether the person holds another nationality at the date of the order depriving him of his British citizenship’. if there are ‘reasonable grounds for believing that the person is able, under the law of a country or territory outside the United Kingdom, to become a national of such a country or territory’. To allay any concerns about arbitrary deprivation of citizenship, periodic reviews of revocation orders will be carried out. Possibly undermining this check on arbitrariness is the fact that decisions to revoke citizenship can be taken in secret, if the Government feels it necessary for reasons of ‘national security’ or ‘public interest’. Moreover, such orders can be retroactively applied, meaning that in making her decision to render someone stateless, the Home Secretary can take into account allegedly troubling behaviour that took place before the new Immigration Act was in force. Ex post facto laws are frowned upon in many democracies, and in fact prohibited by the Constitution of the United States. Another disquieting aspect of these new statelessness provisions is not listed anywhere within the text of the Act itself, but was made evident during legislative debates about the Act before its adoption: revocation of citizenship is intended to occur when the person in question is out of the country. During deliberations regarding the Act, several MPs highlighted how administratively challenging it would be to deport a person if they had been deprived of their citizenship and left stateless ‘while present in the UK’. The House of Commons and House of Lords also examined this issue in their Joint Committee on Human Rights, querying whether it was kosher to deprive someone of nationality for the sole purpose of deportation. ‘The Government’, the Committee noted, ‘made clear that it intends to exercise the new power, leaving individuals stateless, when they are abroad’. This is a simple solution to the practical considerations at hand, although obviously deeply disturbing from a moral, ethical and procedural standpoint. The legal implications of the new law are staggering, not only from a human rights perspective, but also in regards to inter-state relations. As Oxford professor Guy Goodwin-Gill pointed out in a paper submitted to Parliament about the possible repercussions of the new Immigration Act, when a State allows a non-citizen to enter, this manifests ‘a series of legal relationships with the State of which he is a national’. Crucially, this includes the receiving State’s right to ‘terminate the non-citizen’s stay by deporting him to the State which issued his passport’. Professor Goodwin-Gill emphasised that ‘returnability’ and the State of nationality’s obligation to admit its citizens ‘are central to the passport regime’, all of which are negatively impacted if someone’s citizenship is revoked after they have left their own country and legally entered another one. In addition to possibly causing the UK to breach its international legal obligations to other States, the statelessness provisions of the Immigration Act may cause the UK to fall foul of its human rights commitments. The International Commission of Jurists calls statelessness ‘one of the most profound and serious human rights challenges in the world today’, and notes that stateless persons are ‘faced with immense barriers to legally travel, reside, work, study or receive health care’. This makes them ‘highly vulnerable to arbitrary detention, deportation, cruel, inhuman and degrading treatment and other human rights violations’. It is a mystery why the United Kingdom, which has ratified all the major United Nations’ human rights treaties and the European Convention on Human Rights (not to mention incorporating the ECHR domestically through the Human Rights Act), would undermine a legal regime it helped to create and often calls on others to abide by. The Immigration Act is certain to prompt a number of legal challenges, both on human rights and more procedural grounds, as it effectively creates a two-tier system of citizenship, with one tier having significantly fewer legal protections than the other. As the new provisions begin to bite and these cases begin working their way through various jurisdictions, the Government may come to regret its impetuous decision to repudiate the Supreme Court’s decision in Al-Jedda. In the meantime, all naturalised British citizens beware. This entry was posted in Law, Politics and tagged exclusion, immigration, law, national security, politics, statelessness. Bookmark the permalink.